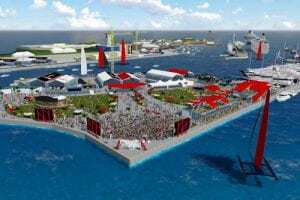 It was February of 2000, and two Santa Barbara newlyweds – one an avid sailboat racer since the age of 5, the other an eager and enthusiastic traveler – decided to plan their honeymoon to coincide with the 30th America’s Cup being held in Auckland, New Zealand. They managed to finagle their way onto an official press spectator boat and watch the action on the water — a super sweet memory from an amazing honeymoon. Now, 17 years and two kids later, we are content to watch the action on YouTube and other social media outlets, although we’ve vowed some day to see the event in person again. After all, is there anything better than watching a major sporting event showcasing teams from around the world as they battle it out in high-performance multi-million dollar yachts? Add in Mother Nature as a primary player and you’ll begin to understand why WE LOVE AMERICA’S CUP! 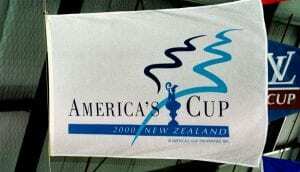 So join two old married folks who still wistfully remember their dreamy honeymoon in New Zealand 17 years ago as we tune in to watch international sailing’s most prestigious event: the 35th America’s Cup! The rich and esteemed history associated with the event attracts the top yacht designers as well as the best sailors in the world. And the coverage promises to be unmatched for spectators from around the globe. Don’t miss it! For more information about the 2017 America’s Cup, visit the official website: www.americascup.com.